Wicked. What can I say? 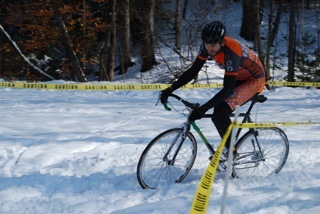 Course and terrain make for an interesting and fun event. Location is great and family friendly. Local races are always a plus when most of them are 2+ hours away. I've been to every Wicked except for one and was super stoked for this one - with the expected snow (up to 15") it was going to be awesome. Unfortunately, Wicked 2011 was cancelled due to weather. I didn't let that little hurdle stop me. 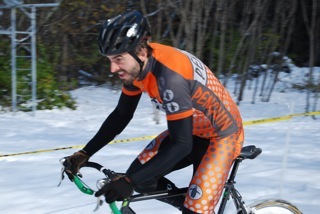 I did learn a couple things about racing my bike in 6-8" of fresh snow: 1. it's a lot of fun! 2. it's hard due to traction issues 3. snow hides things that cause endos. I figure it's similar to a super slick mud day without the Watt-demanding mud sections and will get faster with every lap. It was to be such a sweet day. Too bad 200 of my friends and nemeses weren't there to enjoy it. Next year, Wicked! 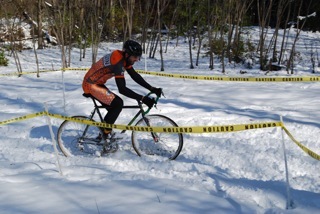 *Wicked was cancelled, mock race staged in honor of what was to be an awesome day of cross.